Bag of 20 bin end t lights, these are all good t lights but they have cosmetic issues, such as uneven colour, misshaped or dented. For £1.99 you will get a bag of 35 assorted t lights from whatever is in stock, with a minimum 4 hour burn time. 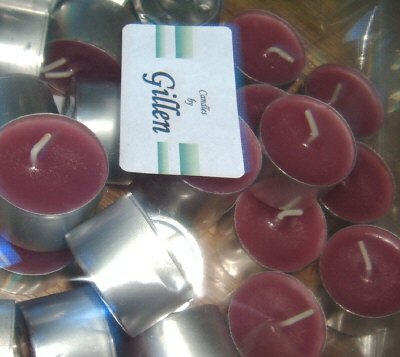 They are ideal for oil burners or t light holders where you do not need to see the t light. Picture is a guide only.